Music and performances have always been a part of cutting edge fashion, so why not marry it into a fashion week show – literally? 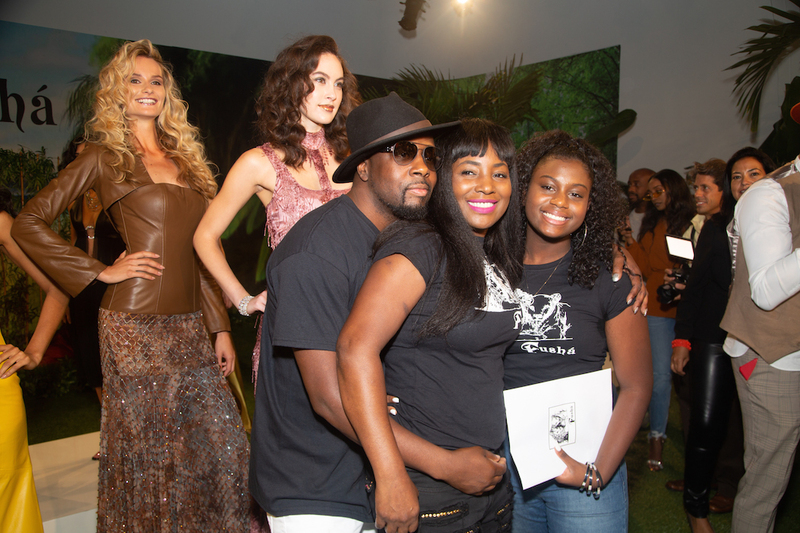 FUSHA design did just that during New York Fashion Week. 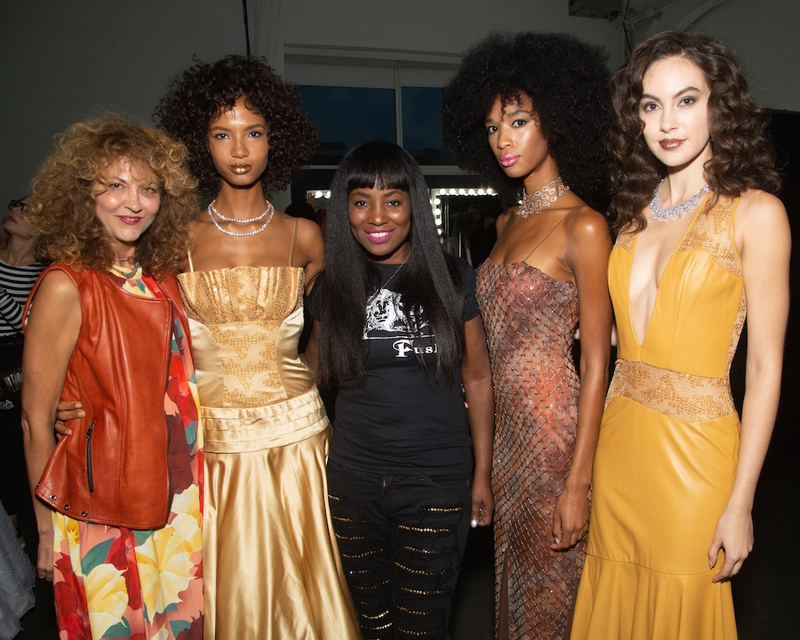 After taking a break to raise their daughter, FUSCHA Designer Marie Claudinette Jean (Wycleff ‘s wife) presented her collection during NYFW SS19 and brought the music with her to the house. Livening up the Pier 59 Studios atmosphere, rather than a playlist in the background during the presentation, Wycleff joined the party while DJ’ing the hottest tunes. The music x fashion groove was so authentic with good vibes and the sparkle, editors, photographers, and guests joined in the “shaking it” moves while taking pics. Now that’s been a while :). I even got my editor moves on the floor (check the IG post below!). and when they say a husband is supportive… check out the cutest! 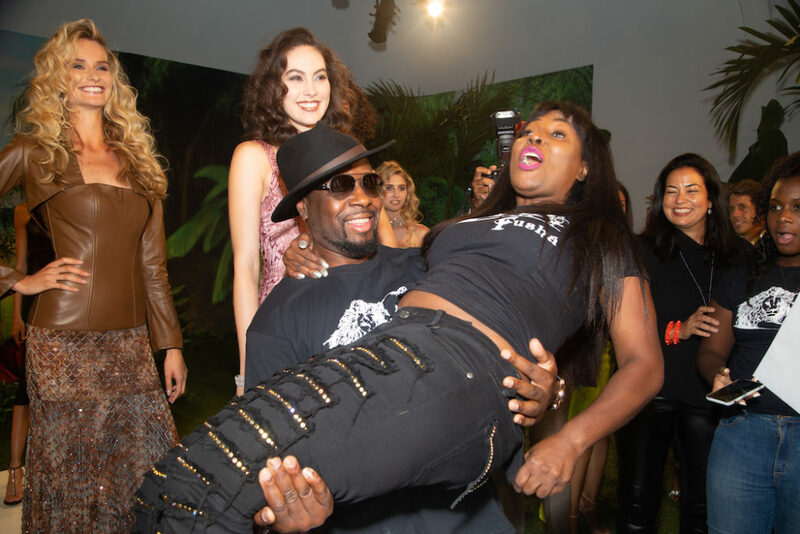 Wycleff Jean carrying his lady Claudinette at the show! Here’s a peek at the vibes. FUSHA design brings music to NYFW. #BrigitteSeguraHair: @privebylaurentd @lilovesyou @thesherrynetherland | my skincare @nubianheritage . no words for all this fun! thank you Claudinette + Wycleff!